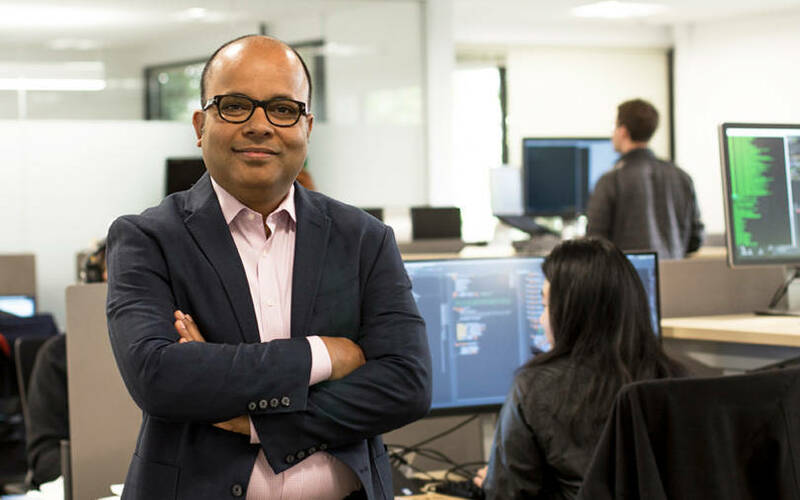 This week, cloud data management firm Rubrik raised $261 million (Rs 1,853 crore) in a Series E round of funding from new and existing investors that valued the company at $3.3 billion. The company joins a number of Silicon Valley-based tech firms helmed by Indian-origin entrepreneurs, such as Automation Anywhere, Thoughtspot, Nutanix, Cohesity and AppDynamics among others, in making it big in enterprise software. These firms have also raised multiple funding rounds, becoming unicorns—a private company valued at more than $1 billion. Rubrik was founded in 2014 by Bipul Sinha, Arvind Jain, Soham Mazumdar and Arvind Nithrakashyap. Its angel investors included Microsoft chairman John Thompson and Veritas founder Mark Leslie. It provides large enterprises with data protection and recovery services, analytics on top of the cloud platform, as well as customised private cloud offerings for the proper allocation of resources. The company has a sizeable research and development workforce in Bengaluru. Why did you raise such a large sum? How will you deploy the capital? We are going after a massive market opportunity. IDC estimates that the total spend in the overall data management market is $48 billion. Rubrik has experienced unprecedented growth fueled by enterprise adoption of our flagship cloud data management platform and entry into new markets through the launch of our Polaris software-as-a-service platform and the acquisition of Datos IO. This new round will be used to build on that growth and expand into new markets with a focus on security, compliance and governance. Stay tuned for more news here over the coming year. We will also use the funding to expand our go-to-market activities with partners like Microsoft, Cisco, AWS, SAP, Nutanix, Oracle, VMware, Google Cloud and Pure Storage. Tell us more about your $50-million investment in India. India is very important to us. In late 2016, we opened an innovation centre in Bengaluru, headed by Ashish Gupta, a former vice president at Flipkart, and made a commitment to invest $50 million in India over five years. We are on track with that investment. We have built customer support, software development and sales teams in India. We are actively working to attract the best engineering talent. New hires on Rubrik’s technical staff will focus on the emerging high-growth areas of software-defined infrastructure and cloud. Rubrik has started selling in India. We’ve already added customers across the technology, human resources and non-profit sectors. We go to market with global integrators like HCL and Cognizant and channel partners including Hitachi Systems Micro Clinic, Wysetek Systems, 22by7 and Compass IT Solutions and Services. Could you elaborate on the sales and research and development efforts in India? India is emerging as a global technology and product powerhouse. We have over 100 employees in the country, including some of the best engineering talent. We have also invested in sales and marketing to serve the needs of both Indian and global businesses by partnering with the country’s strong global system integrator (GSI) ecosystem. We see the opportunity in India in two parts: Indian system integrators such as HCL are managing IT infrastructure for some of the largest enterprises in the world. We see a large opportunity in partnering with them and becoming the de facto choice for their customers’s data management needs. We see companies born in India now competing with the best and largest global businesses. Indian enterprises are modernising their IT infrastructure and catching on very rapidly with the current wave of digitisation. The simplicity and efficiency of the Rubrik platform are universal—it is as compelling for Indian enterprises as it is for their counterparts across the globe. Will you work more closely with GSIs as you expand your product portfolio? Yes, as I mentioned, the India GSI ecosystem is very strong. They manage the IT departments of many Global 2000 businesses.